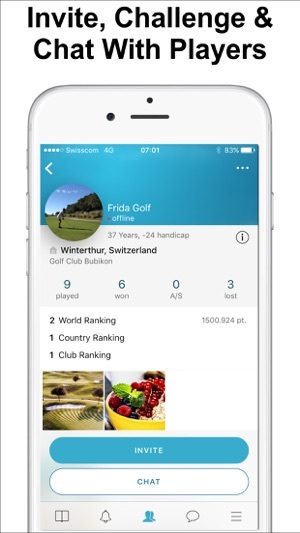 THE MATCHPLAYER golf app is all in one! Partner, opponent, challenger, entertainer, shopping guide & holiday consultant. 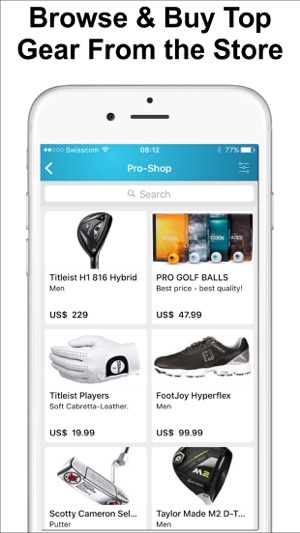 With this app, each golfer will find his perfect golf partner. It is the perfect link between the virtual golf world and the real golf world. 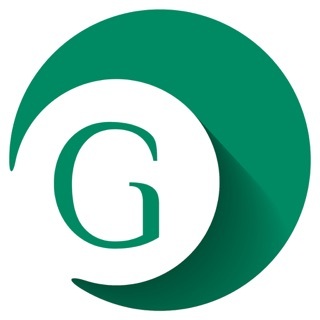 “ALL IN ONE” concentrated in one app – that is unique. Find your perfect match - a golf mate for an easy game of golf, challenge in a competition for a match play or just a thrilling golf date! Intelligent filter methods and circular search find automatically the type of player you are looking for. Get in touch with the players using private live chat in the app. Share your great results and your impress about the match with your buddies. Keep track with your possible match plays, games and dates. Play yourself to the upper positions at the official “THE MATCHPLAYER” world leaderboard, the national leaderboards or the ranking list of your local “home” golf club. Enjoy the biggest tournament around the globe. Show how you are and what are you interests. Create your own profile including your home golf club, your personal handicap and your profile- and background pictures. 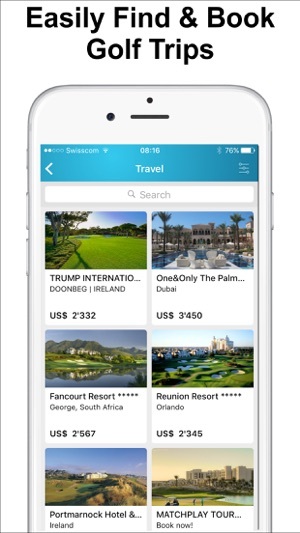 Wherever you are and whenever you want: Connect yourself worldwide with other golf players. There are thrilling golf adventures waiting for you! 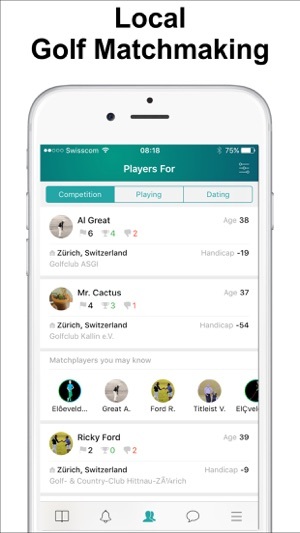 “THE MATCHPLAYER” golf app provides the thrill to compete and win a real life match playing against an unknown golfers. 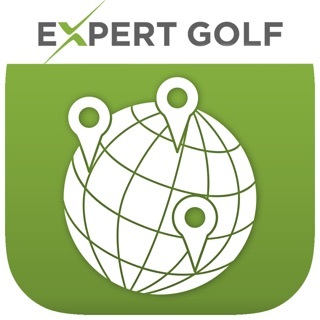 We have over 25.000 golf courses in our database. During the sign-up you can chose your local home golf club and thus you are automatically part of the ranking list of your home golf club. You couldn't find a player in your area? Never mind! We just started “THE MATCHPLAYER” and would appreciate if you would invite your golf friends to “THE MATCHPLAYER” with using the function “invite friends”. Let's create the biggest golf community together! 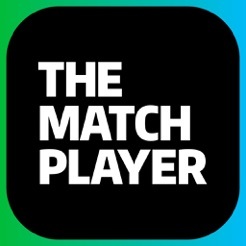 The MATCHPLAYER app is available as a monthly subscription. If you initiated your THE MATCHPLAYER subscription through Apple, Payment will be charged to your iTunes Account at confirmation of purchase. Subscription automatically renews unless auto-renew is turned off at least 24-hours before the end of the current period. Subscriptions may be managed and auto-renewal may be turned off by going to the Account Settings after purchase. Any unused portion of a free trial period, if offered, will be forfeited when the user purchases a subscription to that publication, where applicable. You can visit Apple's support pages online for information about managing your auto-renewing subscription. 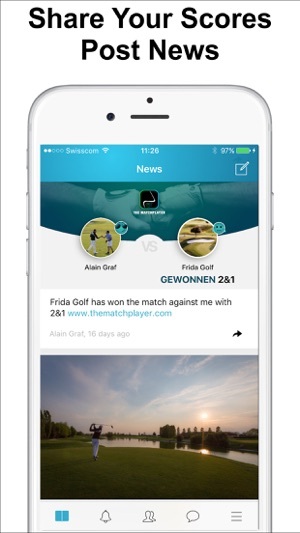 „THE MATCHPLAYER“ – a new golf experience at your iPhone! By enabling Dating mode you have to confirm that you are more than 18 years old. - For the GPS setting to locate your current position the iPhone requires an authorization to locate your position. Please activate the feature in your settings. - „The Matchplayer“ golf app is optimized for iPhone 5 & 6 & 7. From version iOS 9 on, the full operability is guaranteed. Nice for meeting people to golf with!